Russia-Washington tensions boil as Russia race to develop land-based missile - SABC News - Breaking news, special reports, world, business, sport coverage of all South African current events. Africa's news leader. President Vladimir Putin had suspended the Cold War-era Intermediate-range Nuclear Forces Treaty. Russia will race to develop two new land-based missile launch systems before 2021 to respond to Washington’s planned exit from a landmark nuclear arms control pact, it said on Tuesday. 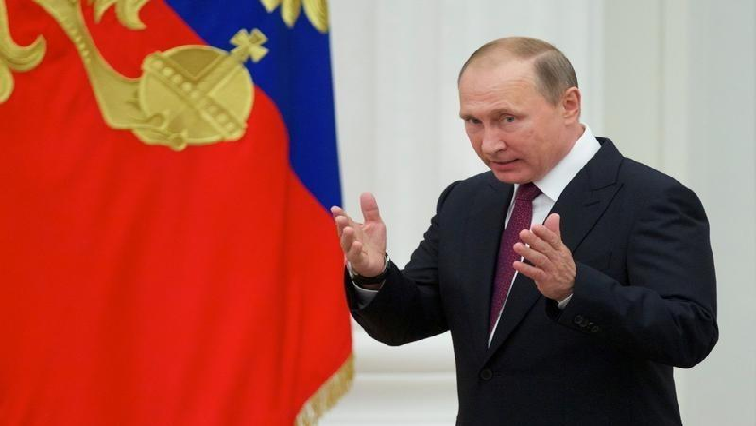 President Vladimir Putin said at the weekend that Russia had suspended the Cold War-era Intermediate-range Nuclear Forces Treaty (INF), which bans both nations from stationing short- and intermediate-range land-based missiles in Europe. Moscow and Washington accuse each other of violating the treaty and Putin said Russia had acted after the United States announced it was withdrawing from the pact. Washington had made clear it planned to start research, development and design work on new missile systems and Moscow would do the same, Putin said. The Russian military should start work on creating land-based launch systems for an existing ship-launched cruise missile, the Kalibr and for longer-range hypersonic missiles which travel at least five times the speed of sound, he said. Defence Minister Sergei Shoigu on Tuesday ordered work to begin on developing the new systems. Shoigu, a close Putin ally, said he wanted the work completed by the end of next year so the new systems were ready by 2021. “From Feb 2, the United States suspended its obligations under the INF treaty. At the same time they are actively working to create a land-based missile with a range of more than 500 km which is outside the treaty’s limits. President Putin has given the defence ministry the task of taking symmetrical measures,” Shoigu told a meeting of defence chiefs. Moscow denies flouting the 1987 pact. It says Washington is the one violating it and has accused the United States of inventing a false pretext to exit a treaty it wanted to leave anyway in order to develop new missiles. Washington denies that. United States (US) disarmament ambassador Robert Wood told a United Nations sponsored Conference on Disarmament in Geneva on Tuesday that the United States would reconsider its withdrawal from the INF treaty “should Russia return to full and verifiable compliance. “This is Russia’s final opportunity to return to compliance,” Wood said. This entry was posted on 05 Feb 2019,03:36PM at 3:36 PM and is filed under World. You can follow any responses to this entry through the RSS 2.0 feed. Both comments and pings are currently closed.